Scientists have found that upon deprivation of food a certain protein is produced that adjusts the metabolism in the liver, assisting in warding off fatty liver disease. According to researchers, a reduced intake of calories, such as in the framework of an intermittent fasting diet, can help to whip the metabolism back into shape. The findings showed that during fasting, the stress molecule reduces the absorption of fatty acids in the liver and improves sugar metabolism. In the study, published in the open access journal EMBO Molecular Medicine, the researchers found that during fasting GADD45 beta protein, whose name stands for ‘Growth Arrest and DNA Damage-inducible’ controls the absorption of fatty acids in the liver. 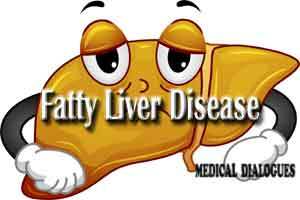 Mice who lacked the corresponding gene were more likely to develop fatty liver disease. However when the protein was restored, the fat content of the liver normalised and also sugar metabolism improved. “The stress on the liver cells caused by fasting consequently appears to stimulate GADD45 beta production, which then adjusts the metabolism to the low food intake,” said Stephan Herzig, professor and Director of the Institute for Diabetes and Cancer (IDC) at the Helmholtz Zentrum Munchen in Germany. Also, in humans, a low GADD45 beta level was accompanied by increased fat accumulation in the liver and an elevated blood sugar level. “Once we understand how fasting influences our metabolism we can attempt to bring about this effect therapeutically,” Herzig added. The researchers now want to use the new findings for therapeutic intervention in the fat and sugar metabolism so that the positive effects of food deprivation might be translated for treatment.